Tis the first day of fall in the North. As it happens it is also the first day since spring that I do not have strict plans to uphold. 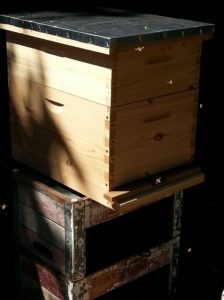 I tend to my beehive, slipping sugar water into a hive feeder, watching sun-striped bees hum with preparations for winter. Slowly, slowly I move in bee time. Thankful for the ebb of the summer buzz. My biological clock in tune with the bees, both in turn with the sun. Lowering on the horizon by minutes each day, the air fresh with cooler, shorter spans of light. How right it feels to move sun-wise, to heed the natural shifts in temperature and set aside the busy summer to rest. If I move too fast, out of sync the bees tell me with a distinct buzz, bee slow please.